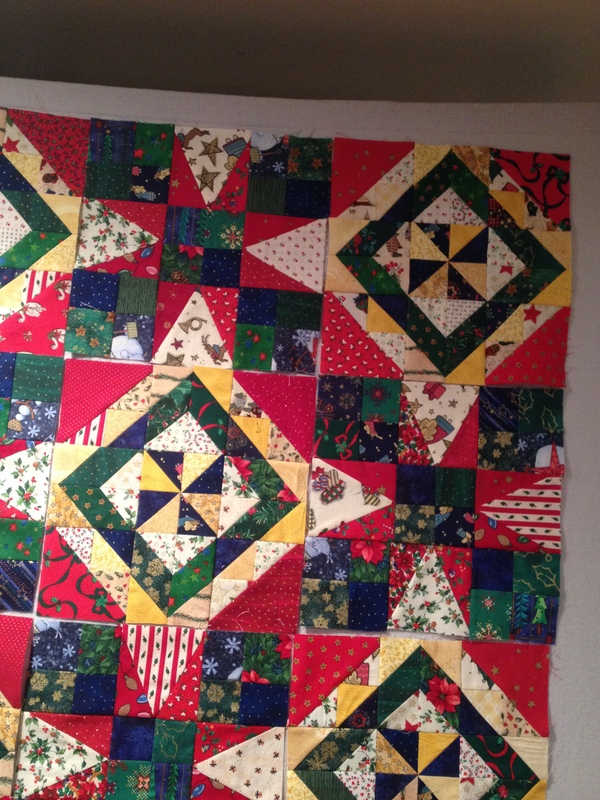 I love your quilt with the Christmas colors and fabrics. 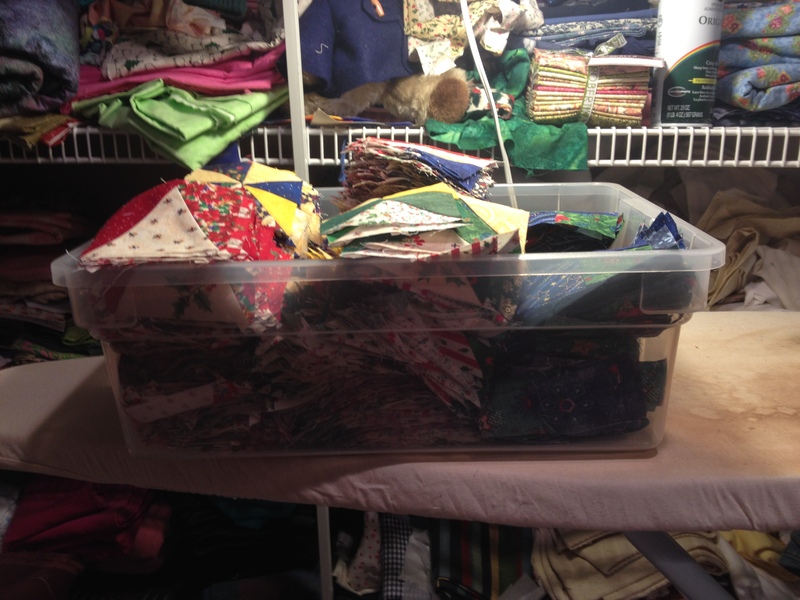 I used fabrics from my stash for mine too, It feels great! Have a great day! 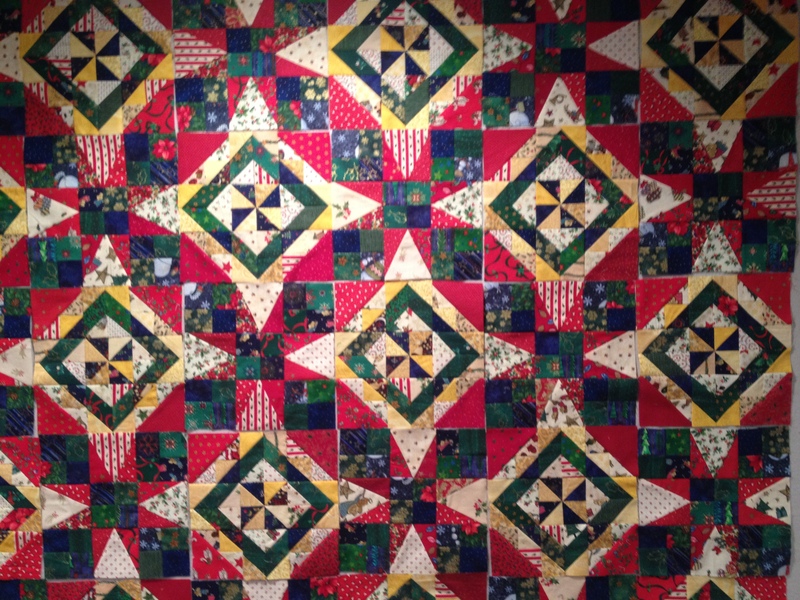 Isn’t Quiltville a great place to go for quilt ideas. She does so many scrappy ones that I just love. You quilt looks great. . 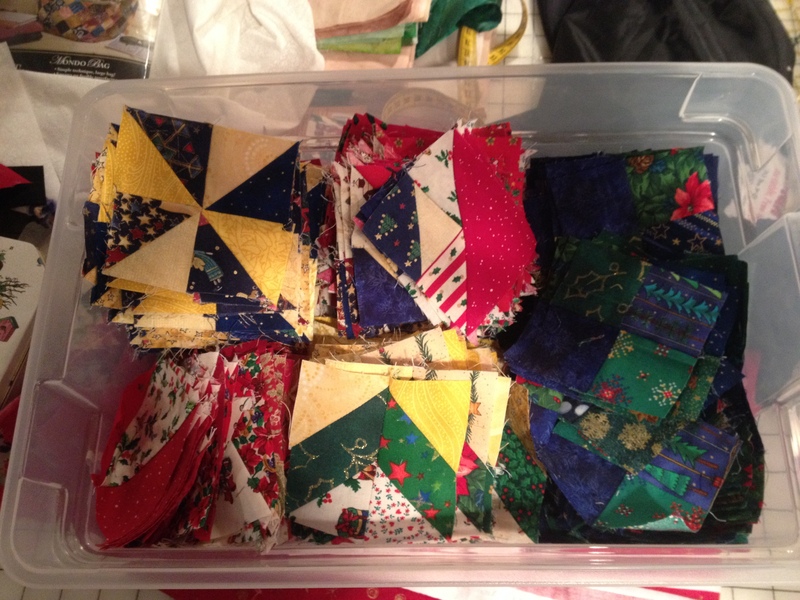 I love the Quiltville Blog-Bonnie Hunter is a wonderful resource! Sorry I can’t do that. The pattern will be in one of Bonnie’s upcoming books – you will have to wait for the book to get the steps. 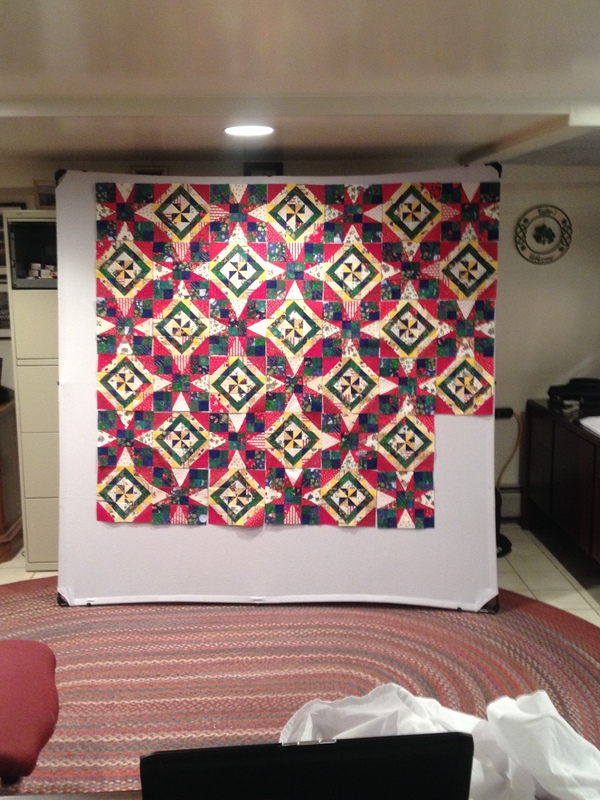 Bonnie leaves the pattern up for about 6 months and then needs to pull it down so it can be published.